We call the heads the teams that aim to dispense one by one the self-adhesive labels of a coil. 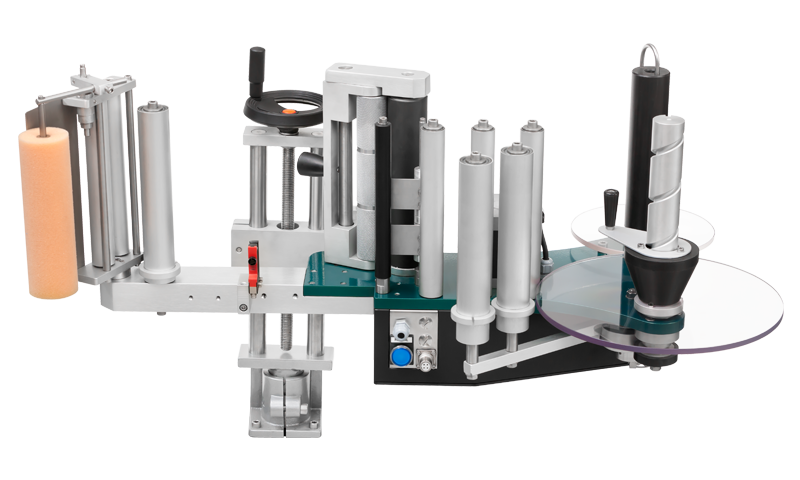 Our equipment is specially designed so that the labels dispensed are in turn applied to the objects that move in front of them automatically and thus help productivity, reduce costs and time. Our heads are able to detect any type of label by installing our appropriate sensors for each one of them. These teams manage a large number of parameters that allow us to adjust very precisely the delivery of the labels on the objects to be labeled. We manufacture different models of heads for a better adaptation to each of the production lines. 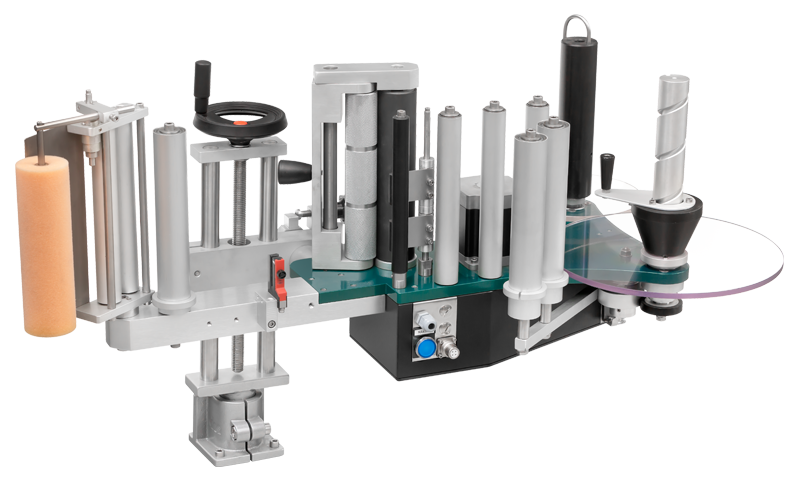 Label applicator designed to offer high labeling accuracy at an affordable price. It has an easy-to-use touch screen that allows you to enter the head parameters. The control electronics are integrated in the same equipment. Electronic letter of control of own production and high benefits. Rewinding paper rewinder with locking device, or optional electric motorized rewinder. Available version Left / Right. High precision motorization type STEP BY STEP. Easy to incorporate into any production line. Coil holder with mechanical pre-decoiler. 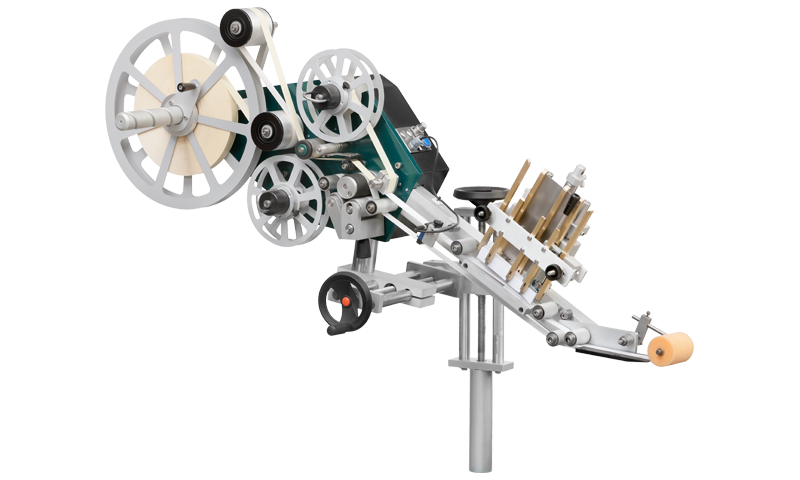 Paper traction group with quick opening cam and aid for paper insertion. Dispenser suitable for paper and plastic labels with pre-aligning system. Stop photocell with adjustable support (suitable for transparent labels, optional). 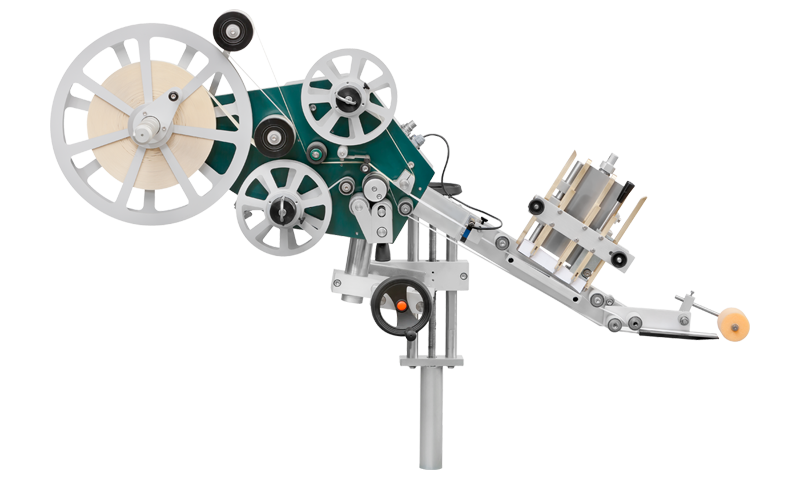 Automatic speed control of label delivery by encoder. Centralized control unit, with 9'5 '' color touch screen. Adjustment of stop delay and on-line travel delay. End of spool / break media paper alarm (optional). Interfaces with alarms and external signals. Designed according to the regulatory requirements of the standards or technical specifications according to the application and the intended use of the CE marked product. Coding of labels by means of thermo printing. Regulation of the heads in height and depth. Also adjustable in tilt and tilt by spindle. 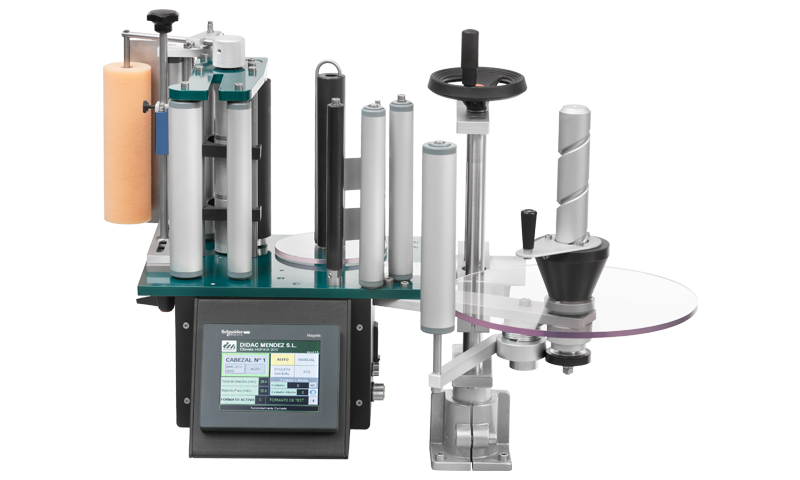 Label applicator designed to offer high performance and high labeling accuracy. It has an easy-to-use touch screen that allows you to enter the parameters of the head. Robust and reliable labeling head manufactured on an aluminum plate. Applicator designed specifically for the application of paper tax seals converted to self-adhesive labels or conventional self-adhesive labels in a bottle. 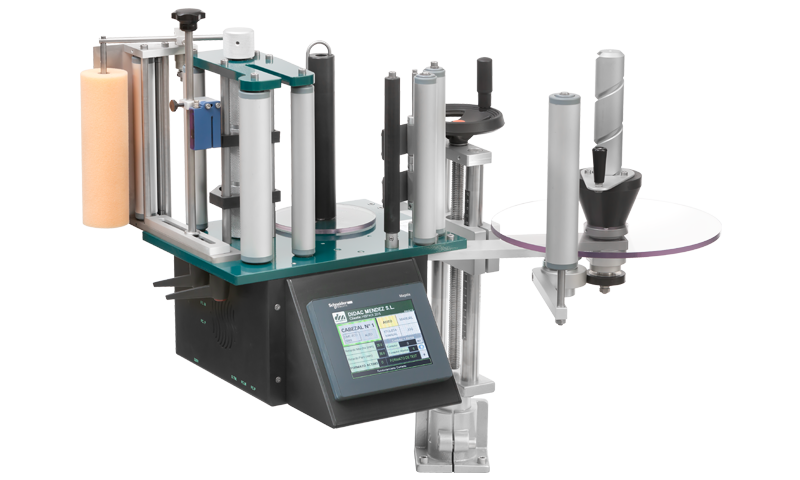 It offers high performance and high labeling accuracy. It has an easy-to-use touch screen that allows you to configure the head parameters.